Borowcyzk, M. (2019, March). Credentialing heritage: The role of community heritage language schools in implementing the Seal of Biliteracy. Presentation at the American Association for Applied Linguistics (AAAL) 2019, Atlanta, GA.
Borowcyzk, M. (2019, March). Beyond Just Culture: Promotional discourses in Slavic community heritage language schools. Presentation at the Georgetown University Round Table, Georgetown University, Washington, DC. Cerezo, L., Fernández-Mallat, V., Hacquard, V., Malone, M., & Serafini, E. (2019, February). Linguistics panel. Discussant at the Graduate Portuguese and Hispanic Symposium (GRAPHSY) 2019: Reimagined Communities: Continuities and Dislocations, Department of Spanish and Portuguese, Georgetown University, Washington, DC. Forrest, L., Sağdıç, A., Sykes, J., & Malone, M. (2019, March). Developing a digital simulation to measure L2 intercultural, pragmatic and interactional competence: Initial pilot results. Presentation at the 41st Annual Language Testing Research Colloquium, Atlanta, GA.
Kim, A. I., Malone, M., & Xu, Y. (2019, March). A long-term impact of hybrid professional development program on FL instructors’ understanding of oral proficiency assessment. Presentation at the American Association for Applied Linguistics (AAAL) 2019, Atlanta, GA.
Malone, M., & Xu, Y. (2019, March). Developing a Chinese C-test for research purposes. Presentation at the American Association for Applied Linguistics (AAAL) 2019, Atlanta, GA.
Sagdic, A. (2019, March). Use it laughingly: Multilingual learners’ pragmatic and metapragmatic knowledge of Turkish formulaic expressions. Presentation at the American Association for Applied Linguistics (AAAL) 2019, Atlanta, GA.
Subtirelu, N. C. (2019, March). Decommodifying Spanish-English bilingualism: Aggrieved Whiteness and the discursive contestation of language as economic resource. Presentation at the American Association for Applied Linguistics (AAAL) 2019, Atlanta, GA.
Sykes, J. (2019, February). Extending our understanding of pragmatic competence in multilinguals: Applying a multi-dimensional, dynamic model to digital and non-digital contexts. Invited presentation hosted by the Initiative for Multilingual Studies and AELRC, Georgetown University, Washington, DC. Sykes, H., Malone, M., Forrest, L., & Sagdic, A. (2019, March). 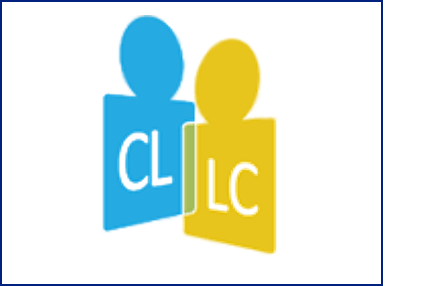 A digital simulation to measure L2 intercultural, pragmatic and interactional competence. Presentation at the American Association for Applied Linguistics (AAAL) 2019, Atlanta, GA.
Tahmouresi, S., & Teimouri, Y. (2019, March). Differential roles of shame and guilt in L2 learning: How bad is bad? Presentation at the American Association for Applied Linguistics (AAAL) 2019, Atlanta, GA.
Teimouri, Y., Plonsky, L., & Goetze, J. (2019, March). A meta-analysis of the relationship between L2 anxiety and achievement. Presentation at the American Association for Applied Linguistics (AAAL) 2019, Atlanta, GA.
Toker, S. (2019, March). Translanguaging as a pedagogical approach with Syrian refugee learners in Turkey: Lessons learned from a collaborative inquiry. Presentation at the American Association for Applied Linguistics (AAAL) 2019, Atlanta, GA.
Venezia, F., & Subtirelu, N. C. (2019, March). School administrators as language policy arbiters of the Seal of Biliteracy. Presentation at the American Association for Applied Linguistics (AAAL) 2019, Atlanta, GA.
Venezia, F., Subtirelu, N. C., & Malone, M. (2019, March). The Seal of Biliteracy across contexts of policy appropriation: Exploring who benefits and how. Colloquium at the American Association for Applied Linguistics (AAAL) 2019, Atlanta, GA.
Xu, Y. (2019, March). A form-meaning combined approach to interlanguage writing complexity. Presentation at the American Association for Applied Linguistics (AAAL) 2019, Atlanta, GA.
Gettler, M., Blyth, C., Campbell, J., & Malone, M. (2018, November). 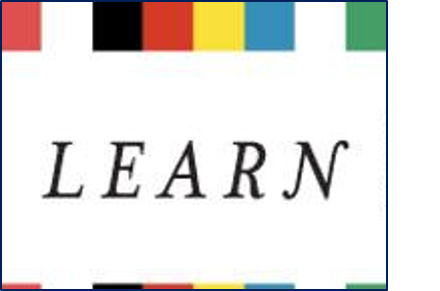 Free resources from the Title VI Language Resource Centers. 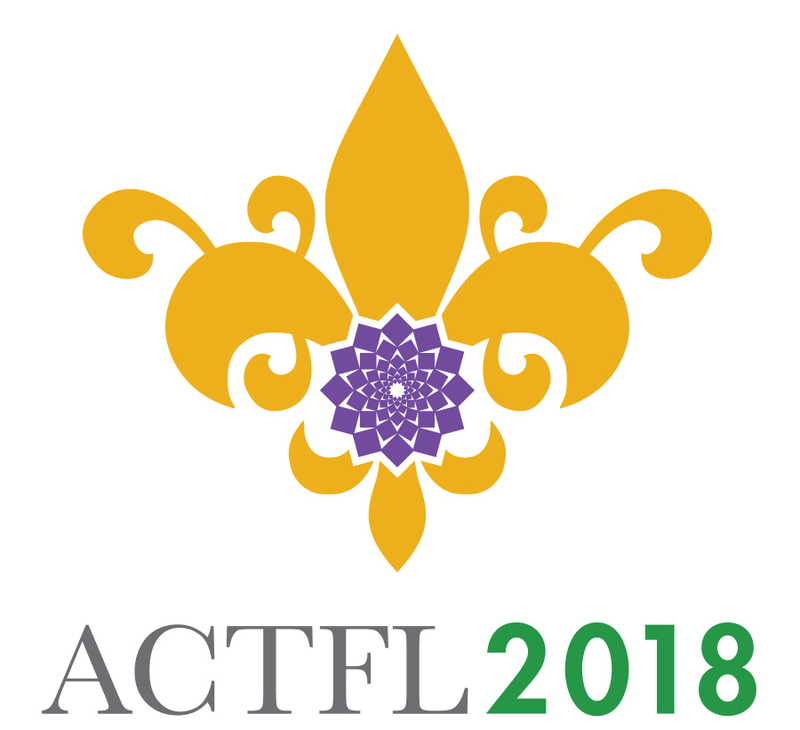 ACTFL Annual Convention & World Languages Expo, New Orleans, LA. Malone, M. (2018, November). Get woke about research. Discussant at the ACTFL Student Discussion Pod, ACTFL Annual Convention & World Languages Expo, New Orleans, LA. Malone, M., Kim, A., & Xu, Y. (2018, October). Understanding the STARTALK guidelines. Poster presented at the East Coast Organization of Language Testers Seventeenth Annual Conference, Princeton, NJ. Malone, M., & Rubio, F. (2018, October). Applying language assessment research to set expectations in higher education. Consortium of Useful Assessment in Languages and the Humanities Education, Eugene, OR. Malone, M., & Rubio, F. (2018, November). 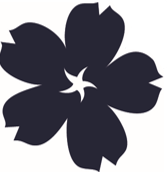 ACTFL research initiatives: Innovations and studies. ACTFL Annual Convention & World Languages Expo, New Orleans, LA. McKay, T., Kim, A. I., & Malone, M. E. (2018, March). STARTALK: Understanding the ACTFL guidelines. 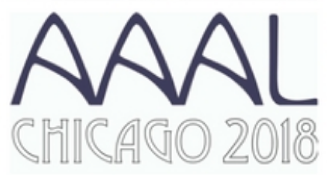 American Association for Applied Linguistics (AAAL) 2018, Chicago, IL. McKay, T. H., Sağdıç, A., & Teimouri, Y. (2018, October). More on the validity and reliability of C-test scores: A meta-analysis of C-test studies. East Coast Organization of Language Testers Seventeenth Annual Conference, Princeton, NJ. Montee, M., & Malone, M. (2018, November). Understanding language development through assessment. ACTFL Annual Convention & World Languages Expo, New Orleans, LA. Sagdic, A. (2018, March). Empowering ELLs through assessing L2 pragmatics. 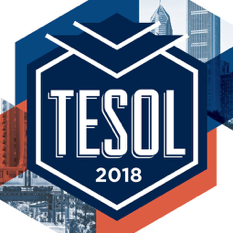 TESOL 2018 International Convention, Chicago, IL. Sagdic, A., Malone, M., Sykes, J., & Forrest, L. (2018, November). Assessing pragmatic, intercultural, and interactional competence through digital simulation. Paper presented at the American Pragmatics Association (AMPRA) Conference, Albany, NY. Soneson, D., Winke, P., Rubio, F., and Malone, M. (2018, November). Meeting expectations: Proficiency assessment and curricular response. ACTFL Annual Convention & World Languages Expo, New Orleans, LA. Xu, Y., & Malone, M. (2018, September). Developing a Chinese C-test for research purposes. Paper presented at the East Coast Organization of Language Testers Seventeenth Annual Conference, Princeton, NJ. Xu, Y., McKay, T. H., & Malone, M. E. (2018, March). Developing a Chinese C-test for research purposes. American Association for Applied Linguistics 2018, Chicago, IL. Xu, Y., McKay, T. H., & Malone, M. E. (2018, March). Developing a Chinese C-test for research purposes. Language Assessment Research Conference 2018, Ames, IA. Chi, J., Donovan, A., & Malone, M. (2017, April). Teachers of LCTL heritage learners: How do we perceive our students. Paper presented at National Council of Less Commonly Taught Languages Conference (NCLCTL) 2017, Rolling Meadows, IL. Chi, J., Donovan, A., & Malone, M. (2017, April). Teachers of heritage language learners: Perceptions, beliefs, expectations, and needs. Paper presented at Conference on Language, Learning, and Culture (CLLC), Fairfax, VA.
Chi, J., Donovan, A., & Malone, M. (2017, March). Teachers’ perceptions of heritage language learners in the classroom. Roundtable presentation at American Association for Applied Linguistics (AAAL) 2017, Portland, OR. Donovan, A., Wei, J., & Abbott, M. (2017, October). Student assessment roundtable. Roundtable presentation at Community-Based Heritage Language Schools Conference 2017, Washington, DC. Kim, A. I. (2017, April). Conducting a needs analysis in nonacademic contexts: English for general purposes program. Presented at Task-Based Language Teaching, Barcelona, Spain. Kim, A. I. (2017, June). A meta-analysis of rater background effects on writing performance assessment. 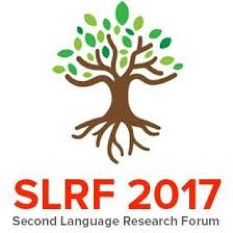 The Symposium of Second Language Writing 2017, Bangkok, Thailand. Kim, A. I. (2017, October). The use of multilingual tasks in assessing content knowledge: An emic perspective. Poster presented at the East Coast Organization of Language Testers, Washington, DC. Kim, A. I., & Son, Y. (2017, April). 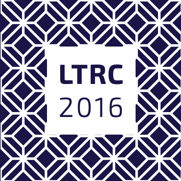 Developing short-cut measures of LCTL proficiency: The new Korean C-test. Presented at National Council of Less Commonly Taught Languages (NCLCTL), Rolling Meadows, IL. Malone, M. E. (2017, February). Language assessment literacy: What language teacher educators need to find out about students. Presentation at UCLA Language Teacher Educators’ Conference, Los Angeles, CA. Malone, M. E. (2017, February). Understanding assessment: A workshop for language teacher educators. Invited workshop at UCLA Language Teacher Educators’ Conference, Los Angeles, CA. Malone, M. E. (2017, March). Language in a global society: Research from study abroad. 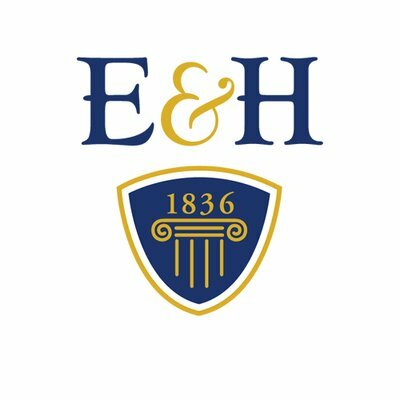 Emory & Henry College: The Reynolds Lecture, Emory, VA.
Malone, M. E. (2017, March). Study abroad in contemporary times: Technological innovations. Colloquium at American Association for Applied Linguistics (AAAL) 2017, Portland, OR. Malone, M. E. (2017, June). U.S. migration and tests of adult language progress. Paper presented at invited symposium at the European Association of Language Assessment, Sèvres, France. Malone, M. E. (2017, July). Including student perspectives in language assessment literacy. Paper presented at a symposium on language assessment literacy at the Language Testing Research Colloquium, Bogotá, Colombia. Malone, M. E. (2017, October). Unpacking language assessment literacy: Differentiating needs of different stakeholder groups. Plenary talk presented at the East Coast Organization of Language Testers, Washington, DC. Malone, M. E. (2017, November). Mission and achievement in higher education. Discussant. 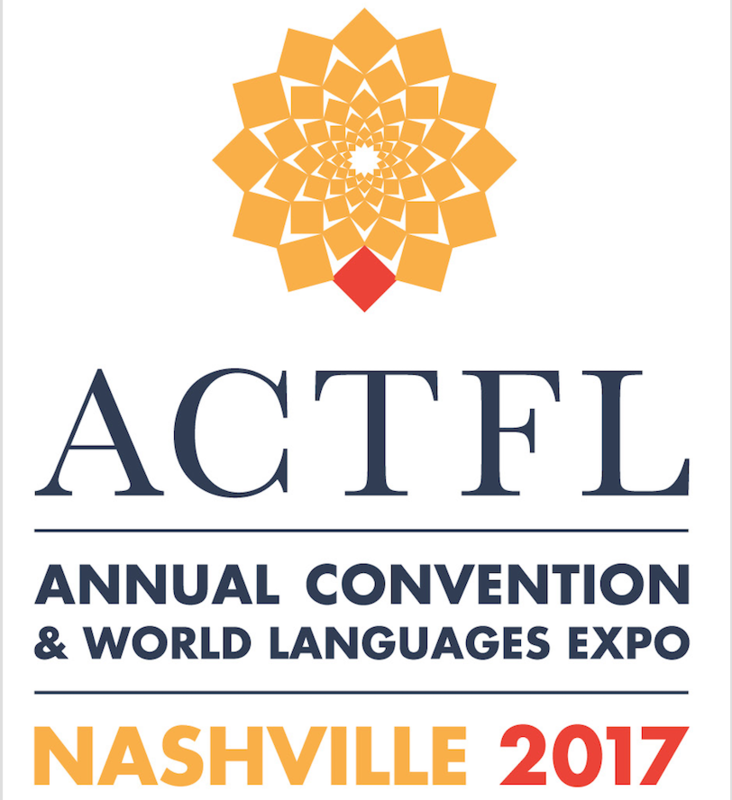 ACTFL Annual Convention & World Languages Expo, Nashville, TN. Malone, M. E. & Polio, C. (2017, March). Are some languages really more difficult to learn? Maybe, maybe not. 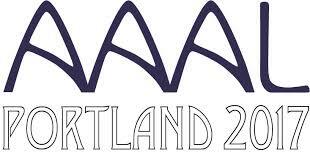 Paper presented at American Association for Applied Linguistics (AAAL) 2017, Portland, OR. Malone, M. E., & Mackey, A. (2017, March). Benefits of bilingualism. 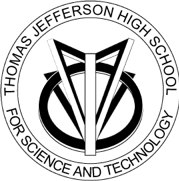 Presentation at Thomas Jefferson High School, Fairfax, VA.
Malone, M. E., Rubio, F., Crane, C., & Peart, S. (2017, October). Language and student success: Identifying ways to explain outcomes in the IHE context. Annual Consortium of Useful Assessment in Languages and the Humanities Education, Atlanta, GA.
McKay, T., Kim, A. I., & Malone, M. (2017, December). STARTALK: Understanding the ACTFL guidelines. Interagency Language Roundtable (ILR) meeting, National Foreign Language Center (NFLC), Riverdale Park, MD. McKay, T. H., Son, Y., & Kim, A. I. (2017, January). The C-test project. Invited talk at Interagency Language Roundtable Testing Committee, Arlington, VA.
Niu, M. (2017, October). A qualitative study on assessments in dual language immersion schools. The American Council on the Teaching of Foreign Languages (ACTFL) annual convention and world languages expo. Nashville, TN. Son, Y. A., McKay, T. H., & Kim, A. I. (2017, February). The C-test project. Presentation at the Center for Applied Linguistics, Washington, D.C.
Sykes, J., Blyth, C., Campbell, J., & Malone, M. E. (2017, November). 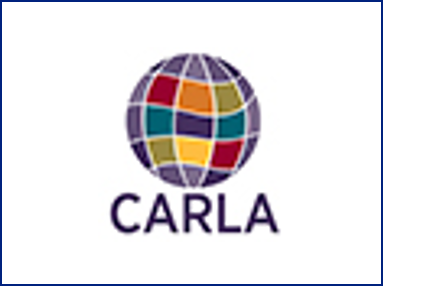 Free resources from the Language Resource Centers. Annual ACTFL Convention, Nashville, TN. Xu, Y. (2017, October). The development of language complexity during study abroad: A meta-analysis. Presented at the 36th Second Language Research Forum, The Ohio State University, Columbus, OH. Chi, J., Donovan, A., & Malone, M. (2016, April). The heritage language database: Promoting awareness of heritage language schools and programs. National Council of Less Commonly Taught Languages, Atlanta, GA.
Davis, J. McE. (2016, March). Language program evaluation in contemporary language education: Current practices, future directions. Invited Plenary, Georgetown University Round Table, Washington, DC. Davis, J. McE. (2016, April). Useful assessment in higher education: Lessons from program evaluation. Invited talk, Virginia International University, Fairfax, VA.
Davis, J. McE. (2016, April). The usefulness of accreditation-mandated assessment in U.S. community college language programs. Invited talk, Center for Advanced Research on Language Acquisition, University of Minnesota, Minneapolis, MN. Davis, J. McE. (2016, April). Washback impacts of accountability-driven student learning outcomes assessment: Conceptualizations of language advancedness in college language major programs. American Association of Applied Linguistics Conference, Orlando, FL. Davis, J. McE. (2016, May). Assessment capacity-building in community college language programs: Current needs, future directions. Invited paper, Community College Language Forum, Center for Integrated Language Communities, Manhattan, NY. Davis, J. McE. (2016, May). Users, uses, and assessment usefulness in higher education. Invited talk, Michigan State University, East Lansing, MI. Donovan, A., Chi, J., & Malone, M. (2016, April). 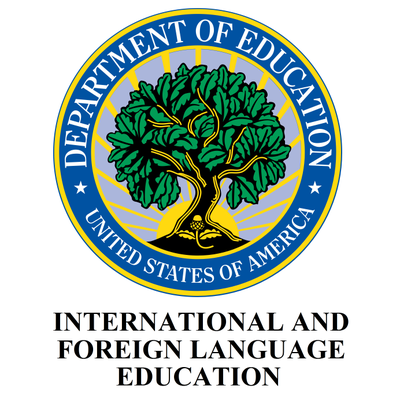 Free resources from the National Foreign Language Resource Centers. National Council of Less Commonly Taught Languages, Atlanta, GA.
Llosa, L., Malone, M., & Donovan, A. (2016, April). Is writing on the TOEFL really the same as writing in college? Evidence from quantitative and qualitative data. American Association of Applied Linguistics Conference, Orlando, FL. Malone, M. (2016, March). Uses for and consequences of language proficiency tests for students and teachers. Invited colloquium and co-organizer, Georgetown University Round Table, Washington, DC. Malone, M. (2016, March). Assessing college foreign language learners’ proficiency: What, why, and how. Discussant for colloquium, Georgetown University Round Table, Washington, DC. Malone, M., & Sandrock, P. (2016, April). Assessment issues in world languages. Invited colloquium, National Council on Measurement in Education, Washington, DC. Malone, M. (2016, April). Assessing college foreign language learners’ proficiency: The what, the why, and the how. Discussant for colloquium, American Association of Applied Linguistics Conference, Orlando, FL. Malone, M.E. (2016, September). Expanding understanding of language assessment literacy: Including students. Invited Plenary at the Language Assessment Literacy Symposium, University of Lancaster, Lancaster, UK. Niu, M., & Xu, Y. (2016, November). Assessment resources: A brief introduction. Workshop presented at the Greater Washington Association of Teachers of Foreign Language (GWATFL) conference, Washington, D.C.
Norris, J. M. (2016, June). Reframing the SLA-assessment interface: ‘Constructive’ deliberations at the nexus of constructs, interpretations, and consequences. Invited Alan Davies Lecture keynote address, Language Testing Research Colloquium, Palermo, Italy. Son, Y. A. (2016, March). Towards useful assessment and evaluation of heritage language learning. Paper presented at the Georgetown University Round Table, Washington DC. Son, Y. A., & Kim, A. I (2016, October). Shortcut measures of language proficiency: The new Korean C-test. Paper presented at the East Coast Organization of Language Testers (ECOLT), Washington D.C.
Thompson, L. (2016, September). Student Oral Proficiency Assessment Workshop. Workshop at Georgetown University, Washington, DC. Xu, Y. (2016, September). Changes in complexity, accuracy, and fluency of L2 Chinese writing during study abroad. Paper presented at the Second Language Research Forum, The Teachers College of Columbia University, New York, NY. Davis, J. McE. (2015, September). Making educational assessment useful in college language programs: Lessons from program evaluation. Invited talk, Educational Testing Service, Princeton, NJ. Davis, J. McE., & Son, Y. A. (2015, November). Trends in program assessment in US community college language programs. ACTFL 2015 Annual Convention and World Language Expo, San Diego, CA. Davis, J. McE. (2015, April). Predictors of assessment usefulness and organizational learning in college language programs. Conference on Language Learning, and Culture: Next-Generation Assessment, Virginia International University, Fairfax, VA.
Davis, J. McE., & Son, Y. A. (2015, October). Panel: Patterns of SLO assessment capacity in community college language programs. Consortium on Useful Assessment in Language and Humanities Education Annual Summit and Meeting, Washington, DC. Diao, W., & Donovan, A. (2015, November). Food and beyond: Oral fluency development among American students in China. ACTFL 2015 Annual Convention and World Language Expo, San Diego, CA. Donovan, A., & Diao, W. (2015, November). Oral fluency: A cross-language study of study abroad homestay students. ACTFL 2015 Annual Convention and World Language Expo, San Diego, CA. Forrest, L. B., Son, Y. A., Sykes, J., & Malone, M. (2015, October). Designing a digital simulation to measure intercultural competence: Putting theory into practice. East Coast Organization of Language Testers, Washington, DC. Malone, M. E. (2015, April). Assessment in world languages: Challenges for research and application. Invited plenary address at the Conference on Language, Learning, and Culture: Next-Generation Assessment, Virginia International University, Fairfax, VA (April 10, 2015). Norris, J. M. (2015, April). Using evaluation for developing, understanding, and improving language programs. 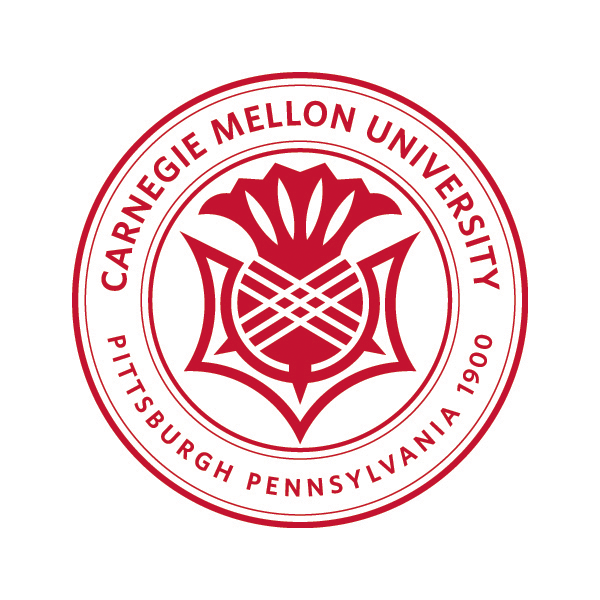 Invited presentation, Carnegie Mellon University, Pittsburgh, PA.
Norris, J. M. (2015, November). Celebrating 100 years of the Modern Language Journal—reflecting on challenges for the language studies field in a multilingual world. 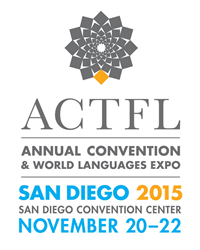 ACTFL 2015 Annual Convention and World Language Expo, San Diego, CA. Norris, J. M. (2015, September). Task-based language assessment in practice for diverse purposes. Paper presented at the invited colloquium “Task-based language assessment in practice: Justifications and realizations,” International Conference on Task-Based Language Teaching (TBLT), Leuven, Belgium. Norris, J. M. (2015, March). Developing and validating short-cut estimates of foreign language proficiency for research purposes: The C-test across five languages (five papers presented on C-test development). Colloquium at the 2015 conference of the American Association for Applied Linguistics, Toronto, Canada. Polio, C., Mackey, A., Van Patten, B., & Malone, M. E. (2015, November). Are some languages harder to learn than others? Maybe not. Presentation at the American Council on the Teaching of Foreign Languages, San Diego, CA. Sasayama, S., McKay, T., & Raish, M. (2015, October). The C-Test format and non-Latinate orthographies: Text selection and deletion strategies for Japanese, Bangla, and Arabic. East Coast Organization of Language Testers, Washington, DC. Tarone, E., Blyth, C., Campbell, J., & Malone, M. (2015, November). Free standards-based language teaching resources from the LRC’s. 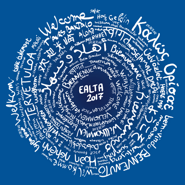 ACTFL 2016 Annual Convention and World Language Expo, San Diego, CA. Tarone, E., Malone, M. E., & Larson., K. (2015, March). Free resources from the Language Resource Centers. Presentation, International and Foreign Language Education Title VI Project Directors’ Meeting, U.S. Department of Education, Washington, DC. Wiley, T. G., Malone, M., Moore, S. C. K., & Bhalla, S. (2015, May). Heritage, community, and native languages in the United States: Examining the current status and identifying future possibilities. International Symposium on Bilingualism, New Brunswick, NJ. Davis, J. McE. (2014, November). A capacity framework for outcomes assessment in college language programs. Paper delivered at the ACTFL 2014 Annual Convention and World Language Expo, San Antonio, Texas. Donovan, A., Liu, N., & Nier, V. (2014, November). Internal evaluation of a program and its impact: Methods and lessons. Paper delivered at the ACTFL 2014 Annual Convention and World Language Expo, San Antonio, TX. Norris, J. M. (2014, September). 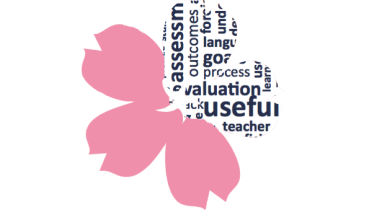 Using program evaluation for understanding and improving language education. Invited plenary address at the annual Language Education and Resource Network (LEARN) Workshop, Chevy Chase, MD. Norris, J. M. (2014, October). Some reflections on Learning Oriented Assessment. Presentation at the Roundtable on Learning-Oriented Assessment in Language Classrooms and Large-Scaled Contexts, Teachers College, Columbia University, NY. Malone, M., Donovan, A., & Di Silvio, F. (2014, November). CAL’s oral proficiency assessment tools: Featuring the Mandarin Chinese COPI. 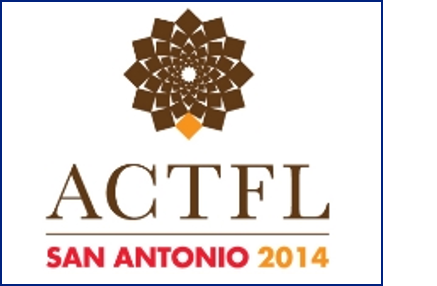 Paper delivered at the ACTFL 2014 Annual Convention and World Language Expo, San Antonio, TX. Norris, J. M. (2014, October). Using evaluation for innovation and improvement in language and humanities education. Invited plenary address at the Language Program Evaluation Symposium, Harvard University, Boston, MA. Tarone, E., & Malone, M. (2014, November). 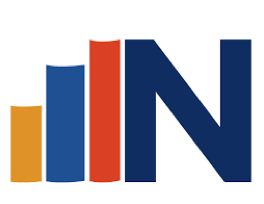 The National Foreign Language Resource Centers: History, impact, and future. Paper delivered at the ACTFL 2014 Annual Convention and World Language Expo, San Antonio, TX (November 21, 2014).